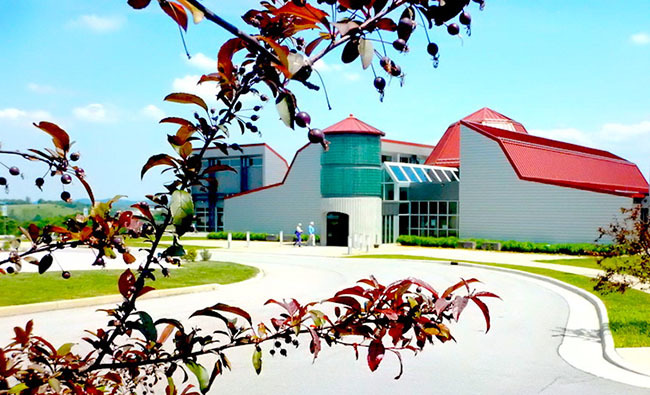 Heartwood, with its barnlike lines, sits beside I-81 at Abingdon and is your key to learning about Southwest Virginia’s crafts, food, music and outdoor recreation. Image by Tom Adkinson. ABINGDON, VA – Think of Southwest Virginia – that oddly-shaped mountainous wedge of the Old Dominion tucked between Tennessee, North Carolina and Kentucky – as a gigantic treasure chest of attractions and activities. 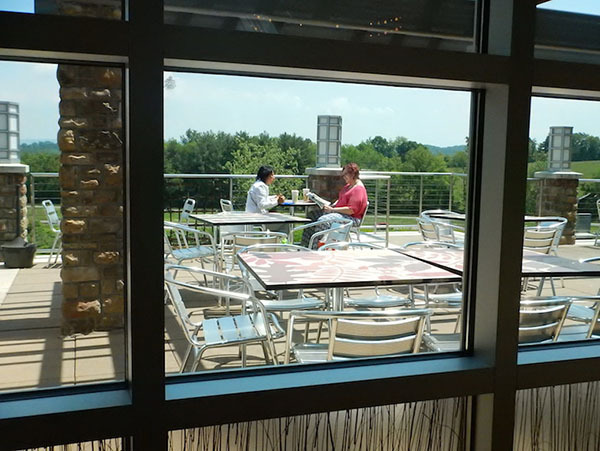 The key to opening that treasure chest and making sense of the twists and turns of Southwest Virginia’s mountain roads is hidden in plain sight in a prominent building along I-81 at Abingdon. It is Heartwood, a spacious and airy multi-purpose facility that in parts looks like a barn and simply feels part of the mountains. Crafts are a big part of Heartwood’s appeal. Its craft-oriented driving tours will lead you throughout the region. Image by Tom Adkinson. Image by Tom Adkinson. 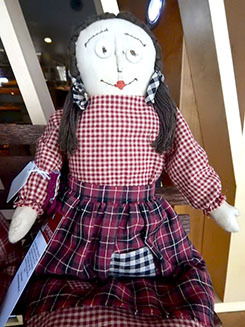 Rag dolls and cornhusk dolls are among Heartwood’s craft items that harken back to simpler times in Southwest Virginia. Image by Tom Adkinson. Mountain crafts are an excellent example. Beautiful quilts, elegant pottery, cornhusk dolls and rag dolls, decorative brooms, intricate woodcarvings and other handmade items immediately catch your eye when you enter Heartwood. 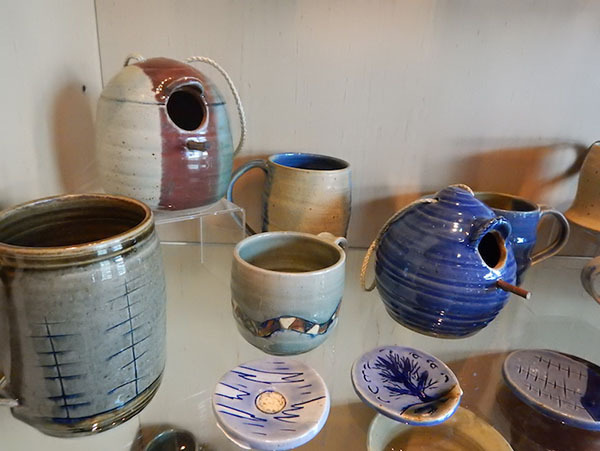 They are impressive themselves, but you quickly learn where to find more because of ‘Round the Mountain, a Heartwood-created organization that has laid out driving routes such as the Lonesome Pine Artisan Trail, the Giles Art and Adventure Trail and the Wilderness Road Artisan Trail. Music is central to the culture of Southwest Virginia, and Heartwood is ground zero for the Crooked Road: Virginia’s Heritage Music Trail, which encompasses scores of venues and festivals scattered across 19 counties. Right here at Heartwood, there’s live music every Thursday night (plus a barbecue dinner), and you’re invited to join open jams on the first, third, and fifth Thursdays each month. Bring an instrument, and leave your stage fright at home. Food, of course, is vital to the region’s cultural identity, and Heartwood’s restaurant shines. Order chicken and dumplings, a pulled pork sandwich or a roasted squash salad, and feel like you are back on the farm with Grandma. Building up Southwest Virginia’s reputation among travelers is the goal of Heartwood’s organizers. They want people to think of Southwest Virginia with the same respect and affection that destinations such as the Napa Valley, the coast of Maine or Tuscany command. Heartwood can put you on that road to respect. Grandma’s farmhouse didn’t have a patio, but the food from Heartwood’s restaurant reminds you of what Grandma made in her kitchen. Image by Tom Adkinson. Trip Planning Resources: MySWVA.org/heartwood, VisitAbingdonVirginia.com and Virginia.org.